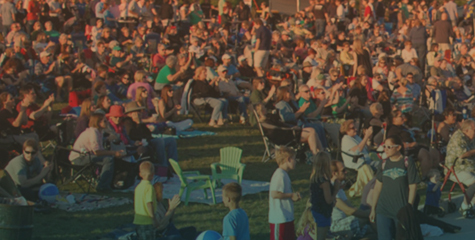 The Tosa Tonight Summer Concert Series is a free family-friendly series of evening entertainment held on most Wednesday nights of the summer, with the exception of the 4th of July concert, that is held on whichever day the date happens to fall. For dates and bands please see our schedule – but we know there are other questions. Check below for answers to our most frequent questions, broken out by subject matter. What are the concert hours? First band starts at approximately 6pm. Second band starts at approximately 7:30pm. Shows run until approximately 9:30pm. No. These are free concerts. Do I need to be over 21? No. 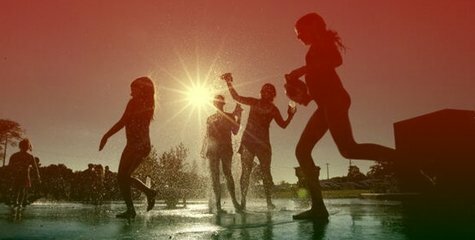 These are family-friendly events. While our vendors do serve alcohol, they will also ID as they are staffed with professional bartenders. There is a public lot to the west of 70th and street parking on the parkway one block south of State Street. There is also a small lot for disabled patrons by the playground. View the stage location on Google Maps. Can I carry in food and/or beverages? We have multiple vendors that offer a variety of tasty, affordable food, beer, wine, soda and water. We prefer you support them as they help keep our concerts free. If you have specific dietary needs or have some reason to carry food or drink in, please consider donating cash at the Tosa Tonight tent. Can I set up a personal tent? No. Tents are for paid sponsors and are organized ahead of time. Personal tents of any kind may not be set up. If you set up a personal tent, you will be asked to take it down. Our series is rain or shine. If it is light or passing rain, we will hold until the weather clears and then perform. Your safety is our priority. If the weather is or is expected to be potentially dangerous we will cancel the show. If the forecast is strong toward heavy rain we will determine go/no-go by 1pm the day of the concert. Please monitor our Facebook Page for last minute updates. What are concert sound ordinances? Tosa Tonight, Inc. takes sound levels seriously, and we have worked with the Parks Department and Wauwatosa Police to establish reasonable sound guidelines for the Tosa Tonight Summer Concert Series. While many factors, including wind and humidity, can affect sound travel, we adhere to levels and times of day that fall well within acceptable and reasonable limits. It is a public park, and those rules must be followed. If the pet has a bad temperament, it is preferred that they are not in attendance. Service animals are allowed. Please also consider your animal’s hearing and comfort in potentially large crowds. If you must bring your pet, please have it on a leash, respect others’ safety, and clean up after your pet. No, with the exception of some Sponsor packages that include the option of a sponsor seating area. When are new season dates announced? As soon as we have all the moving pieces in order. Concerts are usually announced by early May. Can I “stake out” a spot on the lawn? We prefer you do not but if you do, know it may be moved or driven over by sponsor set up vehicles. Tosa Tonight, Inc. is not responsible for lost or damaged items. What if I have lost my child during the concert? We have Wauwatosa Police staffed on site for every concert in full uniform. Please seek out an officer to have them assist you. What do we do in the event of a safety issue? Please follow the instructions of the Wauwatosa Police Department and Tosa Tonight Staff. Can I or my kids climb on the rocks or in the flower bed in front of the stage? No. We respect our artists’ privacy. Often they will hang outside the stage or in the crowd before or after the show. Can I ride my skateboard or bicycle during the concerts at the Pavilion? No, in respect to crowd safety. We ask that skateboarders use the nearby, incredible, Tosa Skatepark. All bicycles should be walked through the active concert area. Is smoking allowed at Tosa Tonight? No, smoking is not permitted. As part of Wauwatosa’s adoption of Act 12, Tosa Tonight adheres to the Smoke-free Air Law. Visit our Sponsorship Benefits page for details. Can I claim my sponsorship as a tax deduction? Yes, Tosa Tonight, Inc. is a 501(c)3 Non-Profit organization. I don’t have a company, can I just donate? Yes click below to donate using your credit card via PayPal. How much is a sponsorship? Learn about that on our Sponsorship Benefits page. What do I get for sponsoring? In most cases – we love our sponsors and depend on them to deliver our ongoing series. However, some Merchant (or above) sponsors may be put onto a waitlist if they are in direct conflict with an existing sponsor. Tosa Tonight, Inc. reserves the right to decline/refund any sponsor that may be deemed unsuitable or otherwise unacceptable for our family-friendly series. Can I sponsor one or two nights? Tosa Tonight is full-season sponsorships only. Because rain-outs happen, we know that single or even two-date sponsorships are problematic. Our full season is the only way to go, and it is worth it. What logo size and file type do you want? The bigger, the better, but nothing over 2000 dpi x 2000 dpi, please. If you email us the logo, ideally it is a transparent format (.eps .ai .psd .png) but we can also take .jpg .pdf .tif. Please no Word Art, Corel Draw, Paint, or other outdated native file types. If you upload/attach a logo to your Sponsorship Application, we only accept .jpg, .png, or .eps filetypes. What is provided for Merchant sponsors at the concert? Besides what is included in your Sponsorship Level you will be provided a vending space that fits your 10’x10′ tent or other pre-approved vending booth. (Tosa Tonight will do everything possible to provide enough space around your space for comfort and function.) We will also provide power, if needed. Other than that, you as a vendor are responsible for your own tents, table(s), extension cords, business materials, etc. I am a Merchant Sponsor – what time should I arrive on concert days? You can arrive as early as 2pm to start setting up, as long as you know where your location is. Please plan to be set up and vehicles off the grounds by 4pm. How do I know my location for setup? Merchant sponsors receive a map with space number and other instructions. If you have not received this information, or have misplaced it, no problem – email contact@tosatonight.com and let us know. Usually sent out close to June 1 each year. What if I need power? Please let us know ahead of time so we can make sure you are within range of one of the many power outlets. Please bring extension cords of good quality. Do I need to do anything special with my tent? If you are using a 10’x10′ tent – please make sure you consider the wind for the evening. Tosa Tonight, Inc. is not responsible for the damage caused to or by your tent due to high winds. A set of good 1′ stakes and/or tent weights will do the trick for most evenings. If there are high winds, consider holding on setting the tent up. Multiple people setting up your tent is also wise. Finally, no tent stakes may be used inside the grass bowl (inside the sidewalk) due to an irrigation system. If I am selling, does Tosa Tonight, Inc. take a share? No, your Merchant or above sponsorship level covers the right to sell. Your sales are yours to keep, 100%. I am a non-profit can I set up a table, tent or provide info to distribute? Tosa Tonight is also a non-profit, and we treat non-profits and for-profits the same. If you want to include your non-profit organization, it falls under the same sponsor guidelines as every sponsor. What if a night rains out? If a night rains out it is a bummer for everyone, but our hope is with the multiple nights each season (and season over season) we will see enough good weather for you to see a positive result from your marketing investment and involvement in the community. What time can we pack up? Most concerts run to between 9 and 9:30pm. We prefer that you vend until the end of the headlining act, but understand if things are slow that you may want to start packing up early. If you do, under no circumstance should vehicles be brought into the active concert seating area. This depends on what you are selling. Work with your Tosa Tonight contact on this, as all permits will be your responsibility. Examples: Health Department permit for food sales; Tent permit if larger than 10′ x 10′. Can I hand out or vend product with a city vending permit? Only if you have also purchased a Merchant level sponsorship or above from Tosa Tonight, Inc.
How do I rent the stage? Please follow the step-by-step process located on our Stage Rental page. What can I rent the stage for? Festivals, Weddings, Private Parties, Reunions, Corporate Parties, Entertainment Events, Race events, Fundraisers, etc. We love to rent the stage and want it busy all summer long. While we will make every attempt to work with your event, Tosa Tonight, Inc. will review your event and reserves the right to decline rental for any reason. How much does stage rental cost? Half days are defined as up to 5 hours. Full days are 5 hours and up. Non-profit Events must provide 501(c) paperwork with Rental Agreement. Cancellations will be accepted up to 48 hours prior to the scheduled event date. Cancellations with a full refund are accepted up to 30 days prior to the event date; after that date, half of the rental fee and the entire deposit will be refunded. Any concerts or event with a P.A. or other loud noise must adhere to Wauwatosa laws regarding disturbing the peace. Any complaints will be handled by the Wauwatosa Police and renters must follow their instruction. Tosa Tonight, Inc. will not refund if your event is silenced by the city and may refuse to re-rent based on noise complaints. Are there times of the year I cannot rent? The Rotary Performance Pavilion is available for rent from June through October. Please contact us to discuss events outside of those months. How do I handle trash and recyclables? Renters will need to work with our friends at the Hart Park office to request trash support and process as they request at the end of the event. There is a bathroom facility that will cover events for up to 300 people. If expected crowd will be larger, it is the renter’s responsibility to secure portable toilets to match attendance per city ordinance. You might, depending on your event. Tents larger than 10’x10′ require a permit from the Fire Department. Food sales require a permit and inspection from the Health Department. Alcohol sales require a permit. In these or any other cases, renters must check with the City of Wauwatosa for any and all permitting needs. Can I bring in a large tent? We have some infrastructure for a large tent or two (20’x30′) but they must remain on the perimeter of the bowl in select areas. Staking large “big-top” tents is not permitted due to underground irrigation and flood mitigation systems. The Rotary Performance Pavilion is located in a public (Hart) park. We prefer all events be accepting of public foot traffic and inclusion. We can offer the ability to close off for a private event in a limited fashion if necessary. Renters need to provide the temporary fencing materials, installation, and removal. The bike path that runs behind the Pavilion, the Playground and the Bathroom facility may not be closed inside the event’s fenced-in area. Please work with Tosa Tonight if a private event is desired. Our bands are chosen each year by the Tosa Tonight Entertainment Committee. How can my band or my friend’s band play the stage? Please send a detailed email to the committee chair: booking@tosatonight.com – include links to YouTube, Sound Cloud or other media sites and they will be shared for Committee Review. When will we know if we are accepted or not to perform this season? 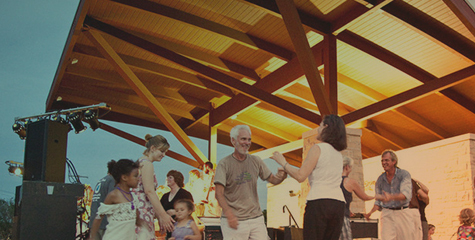 Tosa Tonight is limited to a few concerts each summer and the committee is all volunteers. With just a few select spots for availability and a busy committee, it takes time to consider the hundreds of annual submissions. Please know that all submissions are reviewed, and even if we love your band, we may simply not have room in our season for a number of reasons. In most cases, only the bands that receive a committee vote to proceed will be contacted. We have played Tosa Tonight before, can we play again? Nearly 100% of the time we LOVE our artists and the performance they shared with the community. However, it is rare for Tosa Tonight to repeat bands year-over-year. There is so much talent out there, and we want to share it with our community. For many of the same reasons cited above, in most cases we do not repeat year-over-year. We are booked to play this year, what do you need from us? You should have received a contract from Tosa Tonight. Please sign and return along with a W-9, a Stage Plot, an Input List, photos, a bio, website and social links. If you have a contract and rider of your own, please send for review. How do we load in gear? Drive to the backstage access road at your contracted load-in time. It is located just South of State Street off of 70th Street on the East side of 70th. You will see the backstage from the entrance to the access road. See Google Maps for location. Unless specified in your contract, please unload any/all vehicles and park them in a nearby lot.